It's not exactly surprising that Trump supporters don't see themselves having that much in common with Trump opponents — and vice versa — but a new poll shows just how sizable a chunk of Americans see those who view Trump differently as vastly different from themselves on a personal level as well. 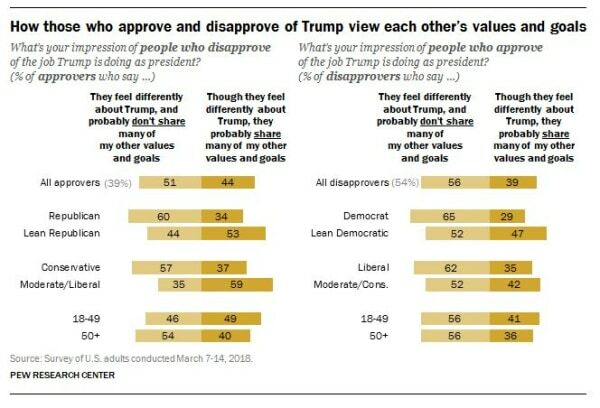 The new survey from the Pew Research Center found that, among Trump approvers, 51 percent say that those who don't like the president also "probably don't share many of my other values and goals." 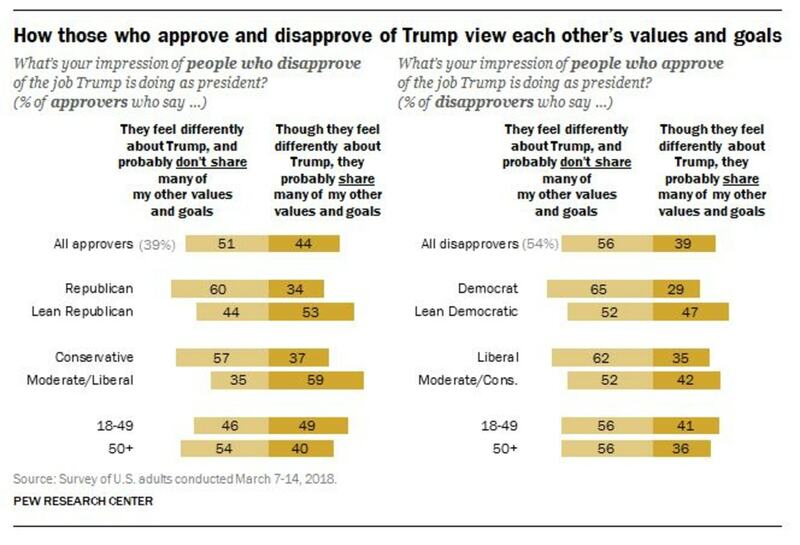 Among those who disapprove of Trump, an even greater share — 56 percent — say pro-Trump folks don't share their values and goals. Here's a chart summing up Pew's findings.